The Baztan Valley in Navarre is an area of extreme beauty and mediaeval Basque landscapes which, due to geographical, social and political factors, still keeps many of its secrets to itself. 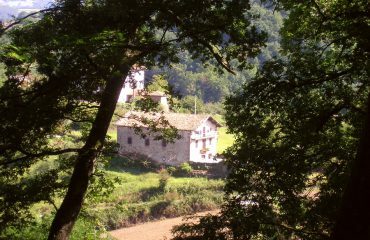 There are almost eight thousand people living in the Baztan Valley, spread between its fifteen pretty, white-washed villages. Elizondo is the capital of the valley and is once said to have had more banks per capita than any other town in Spain. It has a population alone of around three thousand five hundred people although how many of them are bankers I am not so sure. That they are almost all either descendants of smugglers or past smugglers themselves, I am far more confident! It may seem incongruous to go from smuggling to the Basque code of honour in one simple step. But actually it is not so strange. 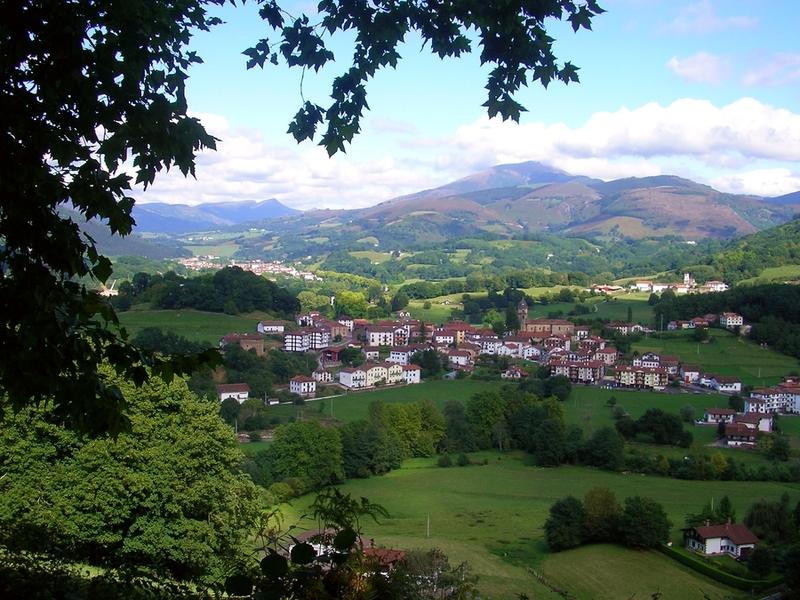 The Baztan Valley has seen very little immigration and the thousands of prehistoric burial mounds in these mountains indicate that many Baztan families have been here since primordial times. The Basque language is predominantly a spoken language and agreements here have always been sealed by a handshake and one’s word of honour. 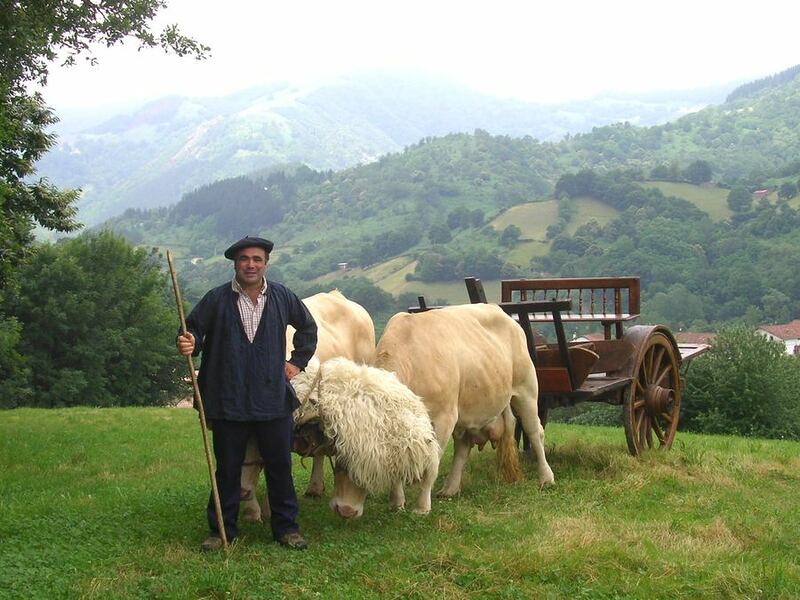 To this day, ‘Euskaldun Hitza’, (the Basque word) is accepted with great solemnity and taken very seriously indeed and still forms a binding contract between the true mountain Basques of this area. When I asked my 9 year-old Basque daughter what would happen if she didn’t keep her ‘Euskaldun Hitza’ – she replied – ‘it would mean that I was Spanish!’. Almost two decades ago I came to work as a mountain guide in Elizondo, and as the year progressed, I found it increasingly difficult to pay anyone. Roberto, the butcher, repeatedly told me to come back and pay later when he was less busy. Lourdes at the bread shop never had the bill made up when I dropped in, and my taxi driver, Francisco, would dismiss my furtive attempts to square up with a wave of his hand. Jumping on his bike, he would disappear over the mountains leaving me standing in the doorway of his house, purse in hand. It took me a while to learn that it wasn’t that the local people were adverse to money (quite the contrary: hence the smugglers!). It is that the people of the Baztan Valley were paying me a compliment. They were offering me the ultimate token of acceptance; that they considered me a person of my word and worthy of the ‘Euskaldunak Hitza’. In these Basque valleys of the Pyrenees, the Basque code of honour can be detected in different ways. Most farms have orchards of fruit trees but to reach over the wall to pick fruit off the trees is totally unacceptable (even though the farmer would be the first to offer you a bag of apples if you met him.) Wood, too, is another example. Here in the mountains wood means wealth – (you almost find yourselves drooling over these immense and immaculately aligned wood piles that surround every Basque mountain farm). These wood stocks are usually left unguarded at the edges of the property but everyone knows that to take the smallest of logs would be to commit the ultimate cultural crime. And this thought leads me to another. Is it possible that this seemingly naïve act of leaving their wood (and wealth) so exposed to passers-by is an act of defiance? Is it a stand down? Is one being challenged to show one’s true Basque colours? 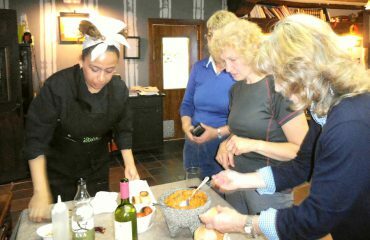 Were Roberto, Francisco and Lourdes really putting my true ‘Basqueness’ to the test? The ‘Euskaldun Hitza’ and a strong Basque code of honour was also one of the reasons that the smuggling network in this area worked so well. Every smuggler had his own territory and worked his own crossing point over the border into France and no smuggler trespassed on another smugglers patch. Once over the border into France, French Basque smugglers from the Pyrenean villages on the other side would then take over. If a Basque Spanish smuggler was caught smuggling horses or cows over the border the first thing he would do would be to release the animals and run for cover. The Guarda Civil would herd up the animals but as they had no immediate use for them they would auction them off in the nearest market town. Such was the code of honour within the local Basque community that the farmers (who were invariably smugglers themselves) would boycott the auction leaving the sole bidding up to the family members of the smuggler who had lost the animals the night before. With no competition the smuggler would win back his livestock at a pittance only to head out on the next moonless night to gain a better price for them over the border in France. 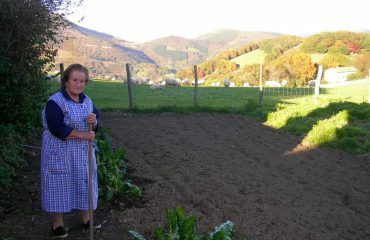 I am off now to pay José Mari in the computing shop in Elizondo, in the Baztan, …. that is if he will let me!